Go, Tracy, Go! : My sister's here! Nothing to say today because I'm out running with my sister, who's in town from Chicago to visit me (and run in Central Park). Yay! 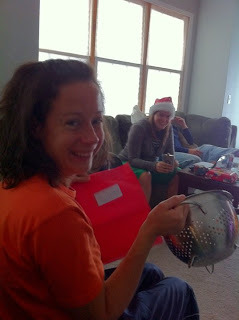 Christmas 2010. I guess I gave her a colander?